Protects users against attacks that antivirus can’t block! real-time traffic scanning – protection against Zero Hour exploits, dangerous web locations, malicious content from legitimate websites and cybercriminal attacks. detection and blocking of advanced malware attacks – blocks confidential data leakage and data exfiltration to cybercriminal-controlled servers. automatic and silent patching – keeps your security-critical software up-to-date, blocking over 85% of attacks that target software apps. Reactive antivirus looks for files and actions, whereas Heimdal looks at traffic. Heimdal PRO works proactively to prevent cyber criminals from infecting your system and stealing your personal data. Nowadays, it is rather very difficult to keep yourself safe and protected from viruses, trojans, worms or other forms of malware that are getting stronger day by day. A strong and reliable anti-virus and anti-malware software is a need of almost all PC users, so all there data is safe, and not vulnerable to strong malware and rootkit attacks. There are many softwares available for protection, but not all of them can find vulnerabilities in the system, or track and stop zero-hour exploits, and protect you against banking data leakage. Heimdal PRO is a security application designed to run alongside antivirus solutions, and is compatible with a variety of antivirus products. It can filter your traffic, scan for vulnerabilities, and patch/update important third-party softwares. The application helps improve the security of your home PC or corporate network. The installer size is ~20MB, and it asks you to register and activate the license before installation. You can register for a trial, activate the Free version, or enter the license key to activate the Pro version. Once activated, the installation process can continue. The installation process is simple and straightforward, taking no time at all to complete. Once done, you can start the application and set it up as per your needs. The set up process is of two steps, first you choose the apps you want Heimdal to get updates for or you can leave it on Autopilot so all apps are covered. The second step involves choosing what type of notifications you want to receive. The UI of the application is simple, intuitive, and comes with a modern and attractive design with visually appealing colors. The UI looks well-organized, so all the features and function can be easily accessed. There are 4 main tabs, namely Overview, Traffic Scanning, Malware Engine, and Patching System. The first tab shows you the time since last scan/update, the number of patches found, the number of websites blocked, and whether your PC is healthy or in danger. The second tab allows you to turn ON/OFF traffic filtering and other related settings, whereas the third one allows you to manage malware scanning settings. The last tab lets you switch ON/OFF the Patching system, shows you how many apps it is monitoring and the number of patches it has applied, and also shows you useful recommended softwares that are safe to install. Settings and activity reports can be accessed from the top-right side. – Clean and simple UI, designed to be suitable for all types of users, even the novices. – It works proactively scanning all your incoming and outgoing Internet traffic to identify malicious connections. – Protects you from Phishing links, legitimate websites hacked to distribute malware, infected online ads, rogue software updates. – Ensures your confidential details, such as your card details, are safe from hackers and date thiefs. – It enhances your security by automatically patching many vulnerable third-party apps that we use or have on our PC. – DarkLayer Guard checks whether the websites you try to navigate to is in malicious websites stored in Heimdal’s database. – The VectorN Detection feature works by analyzing the user’s internet traffic patterns to identify known and also yet unknown malware attacks. – Activity reports for all the activity of this application. – Only available for Windows devices. – Software patching covers only a limited apps (7 out of 80 on my PC). 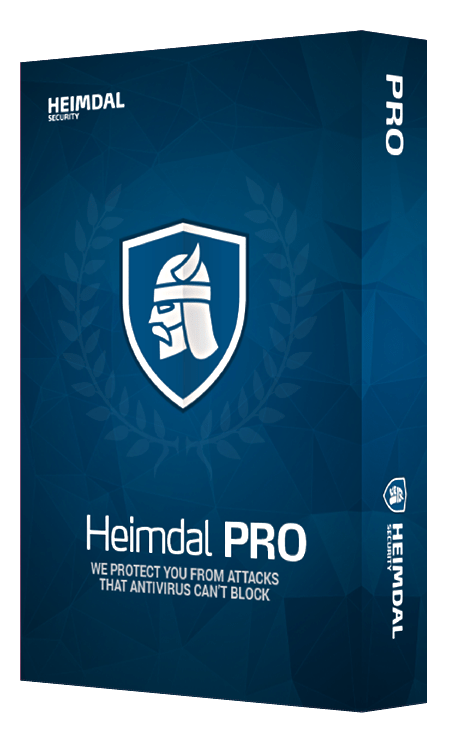 Heimdal PRO is a powerful application that covers the gap usually left open by antiviruses, firewalls, and other antimalware products. It helps by scanning for malware components, analyzing online traffic and keeping your software up-to-date. The UI is intuitive, and should not be a problem to any user. The application runs smoothly, without any lag or error. It is definitely recommended. Thanks for your comment. We will have the Technical Details sections corrected. With an update made yesterday to Heimdal PRO, it no longer supports Windows XP. Regarding Vista, this was an error and it should not have been in the description in the first place. V2 of Heimdal PRO never supported Windows Vista. Thank you & sorry for the confusion. Nice, small and easy to use. Keeps a selection of modern apps automatically updated, as well as performing malware checking. As an additional plus, Heimdal seems to treat their promotional customers exactly the same as their paying customers. When I had to reinstall Windows, it turned out my old key (thanks SOS) needed upgraded to the new format. I requested assistance and they took care of me promptly and politely.